Many of these aspects were to the fore last week at a Jim Sillars-Alex Neil event to launch Jim’s new book, In Place of Fear II, under the auspices of ‘Yes Airdrie’. On a cold Thursday night, nearly 300 people attended, a five-member men-only panel (with David Hayman, Pat Kane and the chair), and for two hours of discussion in which every question from the floor was asked by a man. Pat understandably baulked at this, apologised and after his contribution, gave his place to a woman in the audience (who got to make a one-minute intervention over the course of the whole evening). Mr Sillars’ book is fascinating. It is a real curate’s egg, buzzing with ideas, eclectism and frustration (both about Scotland and personally). Many of the suggestions are a bit dotty (the Robert Burns hospital ship), but many are interesting, and some even heretical (such as self-governing state schools). It is in a deeper sense a sign of the Scottish times: of a culture, which has awoken to the power of the pamphleteer, both old and new, and the floating of numerous vessels and platforms. Yet this was a revivalist meeting of the left of a certain age, wanting to believe in a pre-Thatcher Scotland and have it re-affirmed who the villains were, and that despite everything, it was all going to be all right in the end. How this was going to happen was through that magical formula: left leadership and ‘men of steel’ and ‘men of iron’ (with the occasional woman, perhaps). In Mr Sillars’ speech and exchanges, it seemed that no problem was too difficult to be surmounted. There is something inspiring in that, as he talked of the philosophy of In Place of Fear II – the importance of confidence and how ‘Project Fear’ invited us to be feart of ourselves. Yet, the cumulative effect was the opposite, as problem after problem could be solved by human will and diktat: the crises of housing, easy; of the construction industry, no bother; of young people, unemployment and alienation, he had a handy scheme based on an American-style Scots environmental corps; even the issues of state investment could just be solved by borrowing ideas from Islamic finance. There was, for all the references to change and a different Scotland, the constant invoking of the 1970s, and a feeling that the whole evening was living in the past, and happier there than in the present day. Jim Sillars and Alex Neil batted away points about 1974 and 1979, and cited research called ‘Born to Fail’ published in 1973. The prism through which social change was understood matched this. ‘Thatcher’ carried out this and that evil to Scotland, killed industries and communities, only matched, Mr Sillars said, by Tony Blair who ‘killed the Labour Party’. Missing from all of this were the failures of the world pre-Thatcher, and the Attlee, Wilson and Callaghan governments. 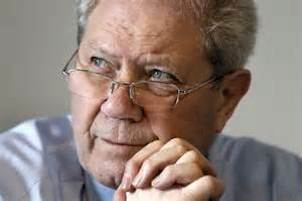 ‘The socialist movement has stopped retreating,’ said Mr Sillars, and ‘the long retreat of socialism reversed’. Alex Neil’s comments over the course of the evening were populist and playing to the audience’s comfort zones. He recited numerous facts, nearly every one incorrectly, for example claiming twice that London has a population of 15 million (it is actually just over eight million). He even got wrong things he was involved in, bizarrely claiming that Labour didn’t win an overall majority in the October 1974 election (it did; narrowly). Worryingly, Mr Neil – who is health minister and responsible for the NHS in Scotland – got nearly every health fact he cited wrong. The most alarming of these was when he completely misunderstood and misrepresented ‘the Glasgow effect’: a phrase used to denote how worsening health inequalities developed post-1979, claiming it showed that our deteriorating health record was all down to Thatcher and unemployment (which the research does not show). He also said that the research was undertaken by Harry Burns, chief medical officer until recently, when it was actually done by researchers at Glasgow Centre for Population Health. The Sunday Post had a field day when it found this out, declaring in a headline that Mr Neil had said that ‘Thatcher Drove Scots to Drink’. But he also misrepresented lots of other things in his brief: claiming that the health divide in Glasgow life expectancy is 20 years, when it is 28; claiming that Scotland had gone from having the lowest rates of cirrhosis of the liver in the world (not even the developed world) in 1986 to now having the highest (when it isn’t even true of the developed world). It was a worrying insight into Mr Neil’s grasp of his multi-billion pound brief. Jim Sillars and Alex Neil pinned their hopes of change in the future on a revitalised and radicalised Labour Party. This was continually stated to the point of becoming a mantra, with Mr Sillars observing that Labour would have to change post-independence when all its Westminster MPs have to come home ‘and live with us’. That seemed a bit simplistic, and led one member of the sympathetic audience to ask where the new leaders of this bold new Labour would come from. This outlook seems to view independence not as an end in itself or even a way of changing Scotland, but first and foremost as the best way to resuscitate the Labour Party and its wider movement. It does seem a bit of a long shot and diversion of energies, to put it mildly. All evening we had talk of the need to appeal to the ‘organised working class’, a ‘well-educated political community’ and ‘political education’, and it seemed the two men were still living and evoking the South Ayrshire of their younger days. It made me realise that we have been here before, with the Sillars-led Scottish Labour Party of the 1970s. In his pre-1979 study (1) of the Sillars party, Henry Drucker observed of Sillars and Neil that ‘They mistook South Ayrshire for Scotland’ and their biggest ‘failure [was] to realise that Scotland was changing rapidly’. The old mining communities of Scotland of the 1960s and 1970s were fast disappearing then; they have vanished completely in 2014. This then is the Scotland of easy answers; of being stuck in a timewarp – of a land pre-Thatcher anchored in the thinking of the 1960s and 1970s. In its culture, politics and perhaps as much its attitudes and lifestyles, it is a Scottish version of Life on Mars (the TV drama not the song) – of no women in authority, everybody knowing each other, of run-down social clubs, lots of voluble men and copious amounts of drink. I wondered with my equally bemused friends what to make of all this and what a similarly male-only aged Better Together left-wing meeting would look and sound like, and whether, for all the differences on ‘the big question’, it might be rather the same. Would it evoke the same yearnings for a golden age of the past, and the certainties which people now evoke of it: a sort of radical nostalgia which tells more about where we are today? I think we would find huge commonalities. A book (2) by anti-independence left-wingers from last year identifies the main way to advance political struggle as going back to the inspiration of the Upper Clyde Shipbuilders of the 1970s (when this was a time of majority trade union membership and left-wing optimism). Do some people want our debate to be competing visions of the 1970s? Not even an attractive, stylish one either, bereft of Bowie, Marc Bolan, glam and more, but instead a grubby, miserablist, male world. A different Scotland is possible, some younger left-wingers say today. Maybe a different left Scotland would be a start. This is interesting but I take issue with “maybe a different left Scotland would be a start”. That different left exists. In meetings all over the country young people are getting involved in a new pro Indy left politics. If you go and see a couple of old white men, then you should expect them to have the ideas of old white men. This is not representative of the left in general, and yet another sad example of old left celebrities getting more attention than the plethora of young dynamic activists, with new ideas who will lead the movements of tomorrow. Perhaps one of the most interesting things about Jim Sillar’s book is its subtitle – ‘Socialism in an Independent Scotland’. There are not many people today who still loudly declare themselves to be socialists, especially those whose politics are essentially social democratic. History has shown that there is no social democratic road to socialism. This is true of Old Labour’s failed project, the Mitterand (PS)/Marchais (PCF) coalition in France, to the retreat of social democratic reforms in Scandinavia, where they had previously made the greatest headway. Yet, as Gerry shows Jim still celebrates the 1970’s style social democratic welfare state, buttressed by statist corporatism, as if this is a model for socialism today. What is missing from this view of socialism is any real notion of independent class organisation and any meaningful internationalism.